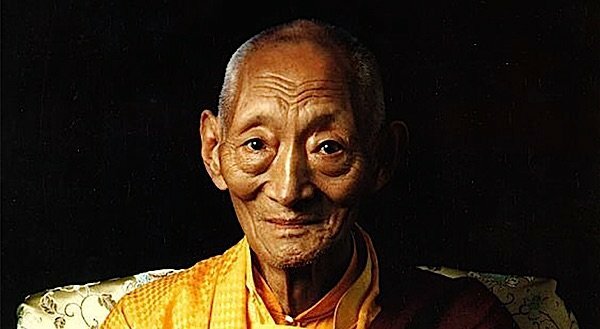 Zasep Rinpoche discusses how Buddhism can help with today’s problems; on how we should think of hell realms and reincarnation; and how to practice when you have so little time. PART 1 OF A 3-PART FEATURE INTERVIEW WITH VENERABLE ZASEP TULKU RINPOCHE. 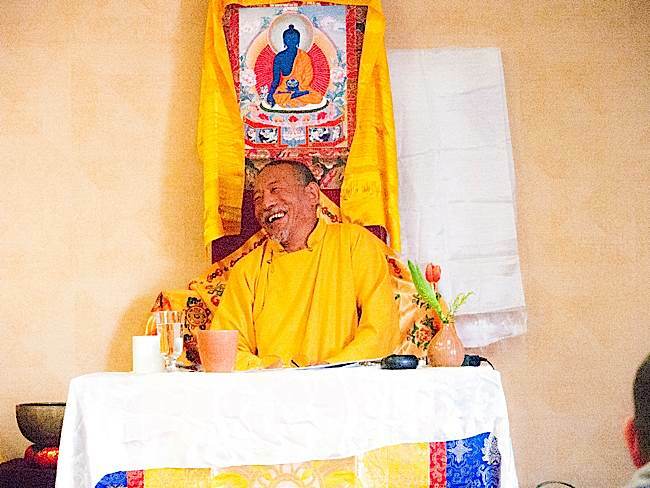 Zasep Tulku Rinpoche is always quick to smile and laugh, regardless of a hectic teaching schedule that has him spending many hours flying around the world. Despite a very tight three week schedule of teachings at Gaden Choling in Toronto, the Venerable teacher found time for an in-depth interview with Buddha Weekly just before he was to perform a marriage ceremony at 2pm. Two hours later, we were still talking, even though he was about to officiate at a marriage of two women. 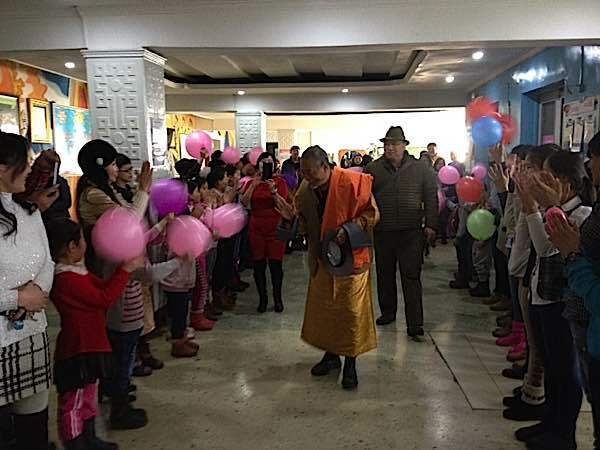 Venerable Zasep Rinpoche just returned from a visit to Mongolia, where he was welcomed at the Ulaan Baatar School for the Disabled just this month. He is spiritual director of Gaden Relief, who donated new kitchen equipment for the school. Rinpoche visits Mongolia for both teachings and relief efforts each year. An early 1956 photo of the H.H. 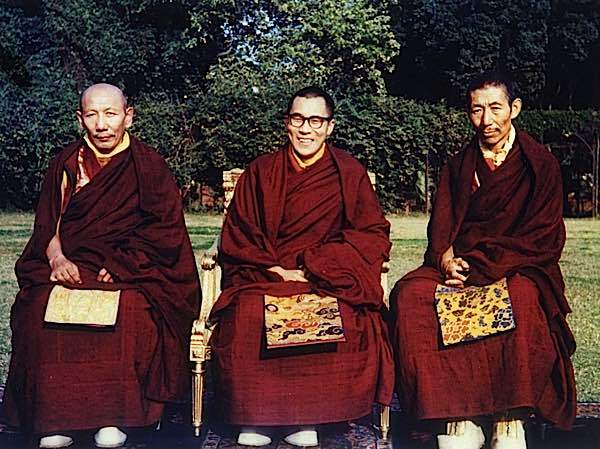 Dalai Lama (centre) H.H. 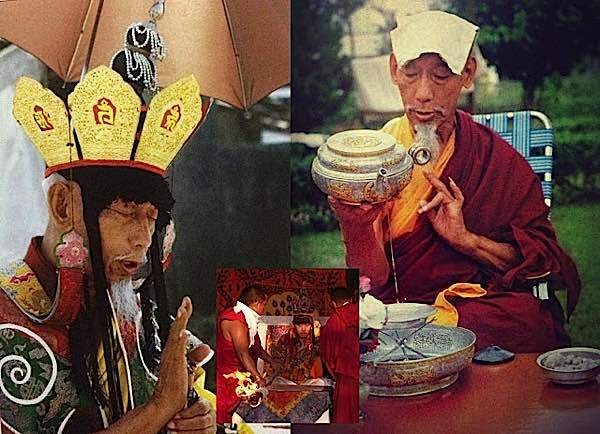 Trijang Rinpoche (left) and H.H. Zong Rinpoche (right). H.H. Trijang Rinoche and H.H. Zong Rinpoche were both teachers of the Dalai Lama and also of Venerable Zasep Tulku Rinpoche. Zasep Rinpoche always has a warm smile for visitors and students. When I entered Gaden Choling Toronto, Rinpoche himself came down to meet me, casually dressed, and warmly shook my hand. I followed him to a private room, where we sat casually in chairs. He asked about Buddha Weekly and some personal questions, then invited me to go ahead and ask him anything. He kindly agreed to let me audio record. Buddha Weekly: When were you first recognized as a Tulku? 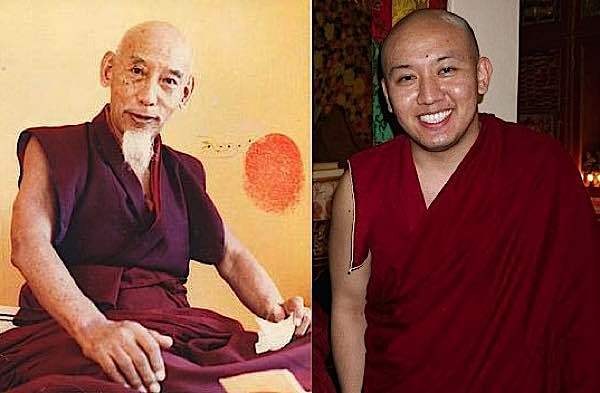 Zasep Rinpoche: I was recognized by three high lamas from three different sects: the 16th Karmapa, Jetrung Rinpoche, and Trijang Rinpoche. Buddha Weekly: When did you leave Tibet? 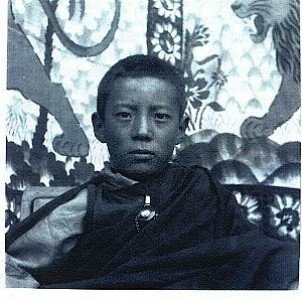 Zasep Tulku at 11 years of age. Buddha Weekly: When did you first come to North America and why? Zasep Rinpoche: I came to Canada in 1980. I first arrived in Nelson BC. I had met a person when I was teaching in Australia — she’s a Tibetan Buddhist from Nelson — and she invited me to Nelson to teach at a local college. It’s called the David Thompson University center. She asked me to teach Buddhist philosophy and meditation January through to April. I taught Buddhist debate and logic. The main reason why I came to Canada was I wanted to come to the west to do some translation of some Tibetan Buddhist texts into English and also do some teaching. And also to learn for myself about western culture and way of life. I thought it would be beneficial for myself and for others. Buddha Weekly: You also lived and taught in Australia? Zasep Rinpoche: Before I came to Canada I lived in Australia. For three years I was the translator for Geshe Thubten Loden. I was also invited by a famous lama, Chogyam Trungpa , founder of Naropa Institute. He invited me to Boulder Colorado to teach at the Naropa Institute the summer of 1980. I went down there and taught debate and logic to many students, including Alan Ginsberg. I then went to Anchorage Alaska, invited by a Tibetan student. Then in 1982, Naropa Institute invited me again to teach on Emptiness and Shunyata. For three years Zasep Rinpoche was the translator for Geshe Thubten Loden in Australia. Buddha Weekly: What Led to the First Canadian Center? 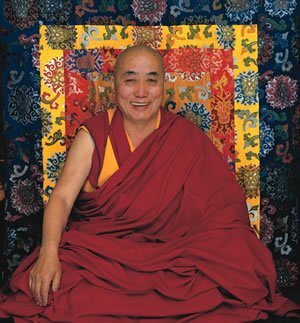 Zasep Rinpoche: In spring of 1981, I met a group of people, Canadians who are Tibetan Buddhists who wanted to start a dharma centre in Nelson, called it Tashi Choling. And we’ve had a centre ever since. From 1981 until 2001 we rented a space for teachings, for almost 20 years. We bought the land in 2001, then we started building a retreat centre. We had land with a house, and in 2009 we began to build. We had ten day working retreats, work and meditate, work and meditate. A group of my Australia Dharma students who practice the martial art Tangsotao came every year for the last five years. They helped so much, and their devotion and dedication helped us complete construction of our beautiful temple in Nelson B.C. Buddha Weekly: You still teach in Australia? Zasep Rinpoche: I go down to Australia every second year. It’s a nice time, and its much warmer, since it is their summer. I’m going there in December 2017. Buddha Weekly: How do you decide what to teach? Zasep Rinpoche: Students put together requests. That’s my style, they request teachings. For instance, in Australia, Pedro Sousa who is wonderful Dharma student of mine, organizes teachings and my tour for the centers. He is wonderful person. He contacts me with the requests from students. 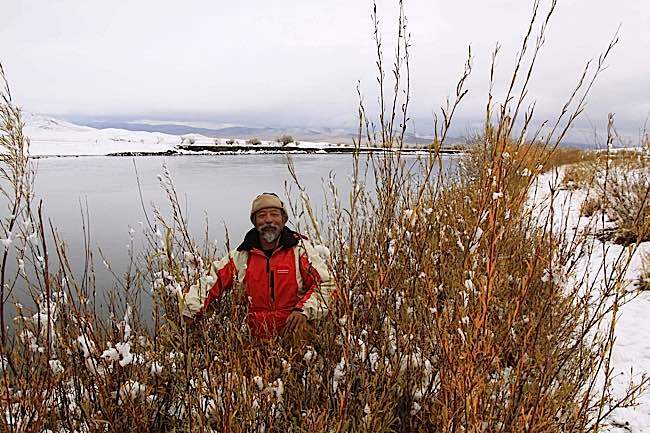 Zasep Tulku Rinpoche meditates by a river in Mongolia. Buddha Weekly: You also teach in often in Mongolia? Zasep Rinpoche: Every year. I do a lot of initiations, individual counseling, and healing for individuals and families. Also, prayers and ceremonies, consecrations of stupas and prosperity vases, and blessing for children. A lot of these are things that we don’t do in the west. 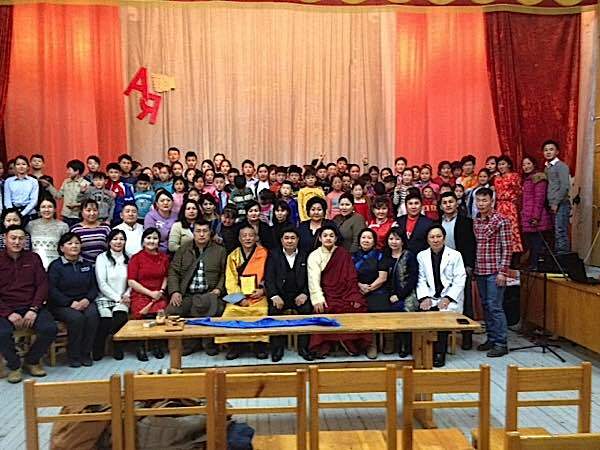 Rinpoche with the students of Ulaan Baatar School for the Disabled in Mongolia. Prior to this photo, the students performed. Rinpoche in orange and yellow robe in centre. And sometimes I just go to the countryside and hang out with my friends in Mongolia. I like to go horse riding. In Mongolia, there are only three-and-a-half million people. One hour after you leave the capital city, you’ll see nothing for miles and miles. Then, you’ll see a single yurt. There are lots of roads, but there are no signs and no speed limits. Unbelievable, beautiful countryside. They have nine million horses — three times more horses than people. Buddha Weekly: Gaden Choling Toronto has a long history. How Did the Centre End up here? Zasep Rinpoche: Gaden Choling is a very old centre. I can share a few interesting stories. I came here in the autumn of 1981. When I arrived here, there was an auspicious event, something that had not happened before. Three great lamas arrived in Toronto at the same year. H.H. the Dalai Lama came in October to Toronto for the first time. Then, H.H. the 16th Karmapa arrived in November. Then, my teacher, H.H. Kyabje Ling Rinpoche, he also arrived in November. All these things happened in the fall of 1981 in Toronto. When I arrived here, we were so energized by these great lamas, that a group of dharma students of the Gelug tradition told me they were thinking of setting up a meditation centre here. They had been thinking about it for a couple of years. When H.H. Kyabje Ling Rinpoche arrived in November, we asked Rinpoche to give us a name. He gave the name Gaden Choling. Gaden Choling means joyful dharma land. H.H. 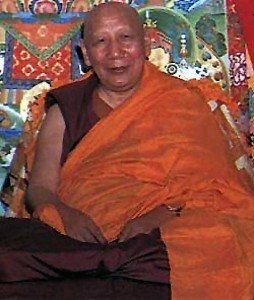 Kyabje Ling Rinpoche, a guru of Zasep Rinpoche, gave Gaden Choling its name. Later, we rented a place near the Beaches for year. In 1984, we moved here, 637 Christie Street. Then in 1987, the owners wanted to sell it. She asked if we were interested. We organized some money and down payment and ever since we’ve been here. It took 23 years to pay of the mortgage. 23 years! We were very lucky. This place has always been a good place. Nice location, we have subway, buses, and the farmers market. (Interviewer’s Note: The interview was conducted at Gaden Choling, 637 Christie Street, Toronto, Ontario, Canada). Buddha Weekly: Who are some of the well known teachers who have taught at Gaden Choling in the past? Zasep Rinpoche: We had many famous lamas teach here. H.H. Kyabje Zong Rinpoche, he’s my guru, he taught here. We invited Lati Rinpoche. We invited Tara Tulku Rinpoche. We invited H.H. Khalkah Jetsun Dhampa. He gave many teachings here, and he came two times. The late H.H. Khalkah Jetsun Dhampa, spiritual head of Mongolia, taught at Gaden Choling twice. Then we invited a Theravadan Buddhist Master named Venerable Chan Maha Gosa Ananda. Also, we invited Kalu Rinpoche. Kalu Rinpoche taught at Gaden Choling. Over the years we’ve done lots of retreats here. And we used to go up to Kinmount in Canada. We used to go there for retreats. They have some cabins and 400 acres. Buddha Weekly: What are you working on now? Zasep Rinpoche: I’m doing translations for a book on Mahamudra. We’d also like to do a retreat on Mahamudra next spring. Buddha Weekly: You previously wrote a book on Green Tara. Tara in the Palm of Your Hand? Zasep Rinpoche: Yes, in English, and it’s also published in Mongolian. One of my friends also translated it into Chinese. 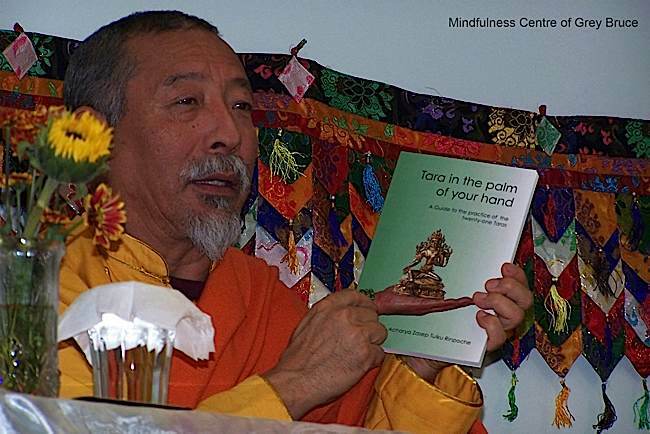 Zasep Tulku Rinpoche is the author of Tara in the Palm of Your Hand, a commentary and practice of the 21 Taras. Taken at a Mindfulness Centre of Grey Bruce event. Buddha Weekly: Is it restricted material? Zasep Rinpoche: No, no problem, anyone can read. You can do the mantra also without initiation. To do the sadhana in the book, you should have the initiation. If you don’t have initiation, you can visualize Tara in front of you, as an object of prayer and reverence. But you can’t visualize yourself as the deity without initiation. Buddha Weekly: Where can a reader buy the book? Zasep Rinpoche: It can be sent by mail, or picked up here. People usually just send a check to Gaden Choling for $30. Or you can make the check to Zasep Tulku. Just on the check, write: For Tara Book. Buddha Weekly: Can you share any fun stories about your great teachers? You’ve had so many famous gurus. Zasep Rinpoche: Yes. I can share a story of H.H. Kyabje Zong Rinpoche. Zong Rinpoche was an abbot of Ganden Monestary — a former abbot. At that time there were 3,000 monks in Tibet, before 1959. H.H. 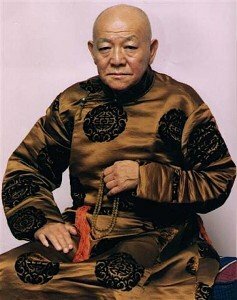 Kyabje Zong Rinpoche was Zasep Rinpoche’s precious guru. Zong Rinpoche was also a teacher of the Dalai Lama. After he was the abbot, he took a long, long retreat — four years or something. Then, he came over to India and did lots of initiations and teachings. He was a very beautiful person. You can see the picture over there. He was an amazing person. He was very charismatic, beautiful smile, beautiful voice. He was a meditation master, tantric yogi, and also, an artist. He was a beautiful artist. He made beautiful ritual objects, sculptures, drawings, paintings. He was a wonderful master of Chod, and an amazingly beautiful chanter, singer and drummer. You could say he was also a musician. He had so many qualities, enlightened qualities. And he was a very strict teacher. He was very strict with his students. He wanted them to practice hard. Towards the end of his life, the last 7 years, he only slept about 3 hours a night. He could teach all day. I remember several times where he’d sit on the throne for six hours non-stop: teaching, doing prayers, chanting. For six hours! So much energy! A still frame from the movie “Come Again” featuring Zasep Rinpoche. Behind him is a portrait of his guru H.H. Zong Rinpoche. To the right is a tangkha featuring Green Tara. He said, “It’s like going through the Bardo”. Because it’s between death and birth. You know, because it’s sort of not real. And he laughed. He thought that was very funny. Zasep Rinpoche: When we went to a shopping mall, he saw all these people on the escalator. He thought that was so funny. The escalator’s moving, but people, they still run up and down the stairs. And then he took us into the toy shop, and he bought lots of toys. A whole box of toys! I assumed, and his attendant assumed, that when he goes back to India he’ll give it to the children, right? But when he went back to India, he didn’t give the toys away. Then, a few months later, he passed away. Then, after he was reborn, the child, his reincarnation, was playing with those toys. He did the toy shopping for his next incarnation! His new incarnation is a beautiful young lama in south India. He is already teaching. He passed away in 1987, then he was born a few months later. He must be about 28 to 30 years old now. On the left, H.H. Kyabje Zong Rinpoche, teacher of Zasep Rinpoche; on the right the current incarnation of Zong Rinpoche. 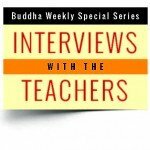 Buddha Weekly: What would you say to a student who says they have no time to practice? Zasep Rinpoche: You make the choice. Why not put aside a little time for meditation? Meditation doesn’t make you even more busy. Actually, it makes you more calm, and it helps you. It improves the quality of your daily activity — your work. It also gives you energy. Meditation helps boost your immune system. Why? In part because meditation releases stress. Rinpoche meditating at a river near the Tashi Choling Retreat Centre, demonstrating that anyone can find ten minutes to sit — anywhere — in mindful contemplation. Still frame from the movie “Come Again” featuring Zasep Rinpoche. So, think about what is more important for you. What is more worthwhile? Making another ten-minute phone call, or sending text messages, or meditating? Just schedule ten minutes in the morning, ten minutes in the evening, or fit in some mindfulness meditation during the day. Or, you can do walking meditation, standing meditation. Yes, there are some things you have to do. You have to talk on the phone and do text messages. But, you don’t have to be so busy that you can’t find time to meditate for ten minutes. 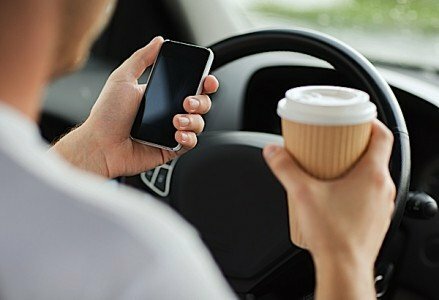 Zasep Rinpoche told the story of a distracted driver with his coffee, phone and smokes. Just last week I was on the street car and I saw this man, in his car, sending text messages, and smoking a cigarette, and also sipping on coffee. He was doing four things at the same time, driving, texting, smoking and drinking coffee. I thought to myself, Why? Isn’t that a bit stressful, trying to do four things at once? (laughs) I could see he was stressed out, that’s why he was smoking. Tired, that’s why he was drinking coffee. Buddha Weekly: So, for someone like that driver, what practice would you advise? Zasep Rinpoche: I would say ten minutes mindfulness meditation in the morning, ten minutes in the evening. Meditation in the morning is good, it helps relieve stress throughout the day. Meditate in the evening, it helps you get better sleep. This is purely from a psychological point of view, not even a Lamrim point of view. Zasep Tulku Rinpoche with a student at a Mahamudra event in Owen Sound, hosted by Mindfulness of Grey Bruce. Buddha Weekly: For newcomers to Buddhism, what would you advise as a good starting practice? Zasep Rinpoche: Good question. For someone who’s really new to Buddhism, they should start with a book on basic Buddhist meditation, covering the four noble truths. I don’t always suggest Tibetan Buddhism. I myself also studied Theravadan Buddhism and Zen. A young Venerable Zasep Rinpoche in Thailand. 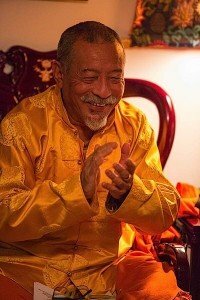 I’ve been teaching Dharma in the west for 35 years, so I have some experience in teaching for westerners at the beginner, intermediate and advanced levels. One book I suggest for beginners is basically about the four noble truths. It’s called ‘What the Buddha Taught’ by Walpola Rahula. I always recommend that. It’s a really good book for people to learn why Buddhism is so relevant today. Suffering, problems, death. Then you realize our suffering is caused by our attachments. Part 2 of interview here>> Zasep Tulku Rinpoche discusses how Buddhism can help with today’s problems; on how we should think of hell realms and reincarnation; and how to practice when you have so little time. Zasep Tulku Rinpoche teaching Mahamudra in Ontario. Rinpoche is an internationally respected teacher, spiritual head of several meditation centres in North America and Australia. Wonderful Zasep Tulku Rinpoche! How blessed we are to have his holiness teaching in Canada!